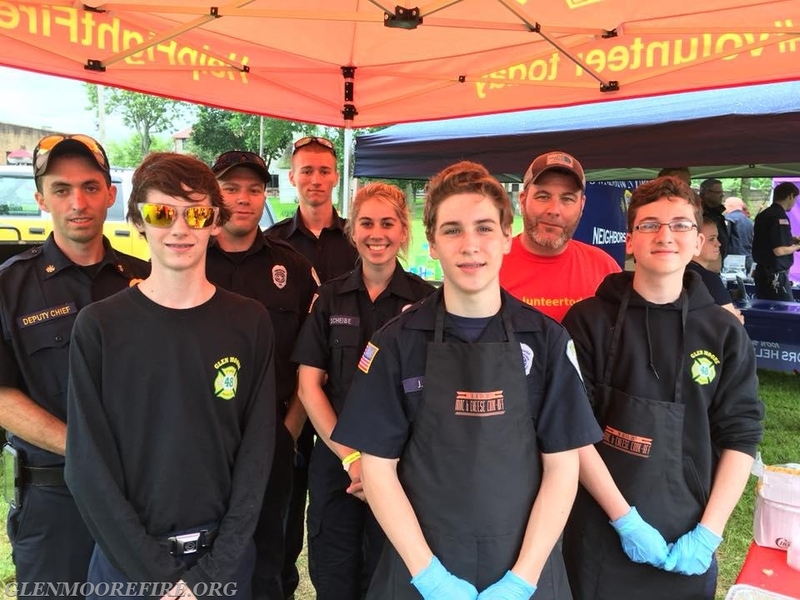 On Sunday 6/10/2018, volunteers from the Glen Moore Fire Company traveled to Kerr Park in the Borough of Downingtown to assist with the Mac & Cheese Cook-Off. 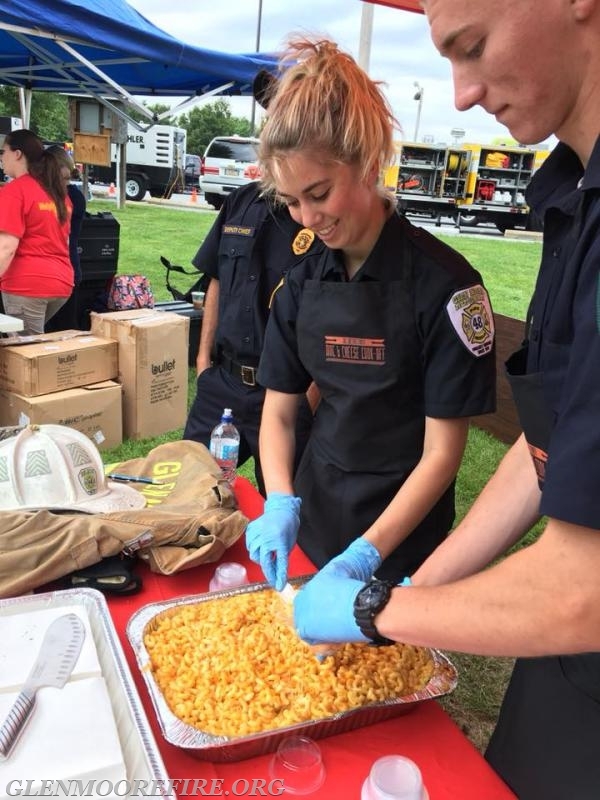 The members served up mac and cheese at the HelpFightFire.com tent. 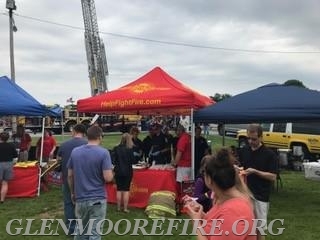 HelpFightFire.com is the website launched by the Chester County Fire Chiefs Association to bolster volunteer firefighter recruitment in the county. 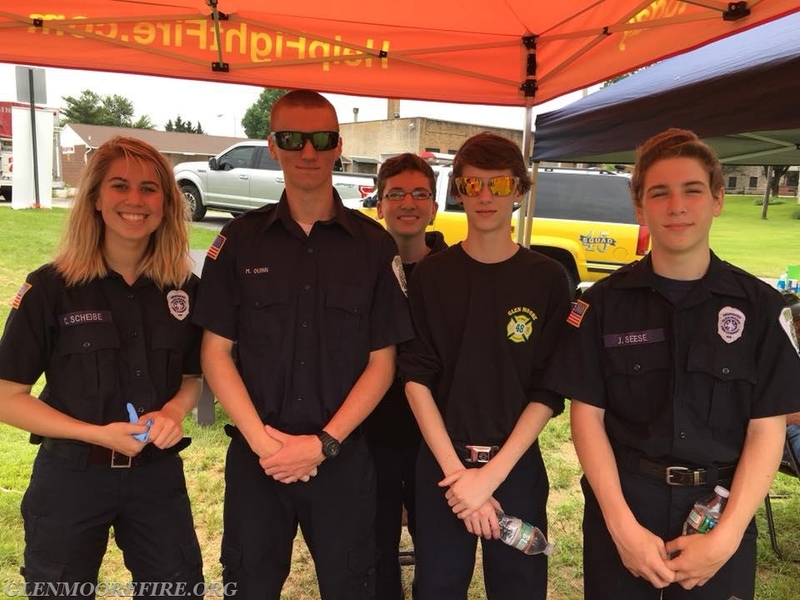 GMFC's past fire chief Mike King has played a pivotal role and continues to play a pivotal role in this recruitment effort. 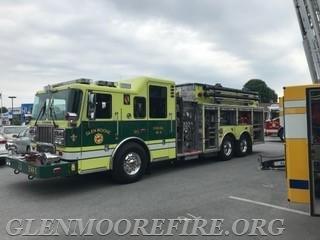 Engine 48-5 was on display as well as apparatus from other fire companies. There was a huge turnout and the attendees got to sample many different varieties of mac and cheese. 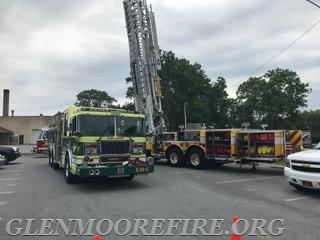 The Glen Moore Fire Company would like to thank those volunteers that attended this event for sacrificing their time on Sunday and for representing the company with such professionalism.